Apply constraints to two right triangles. Then drag their vertices around under those conditions. Determine under what conditions the triangles are guaranteed to be congruent. 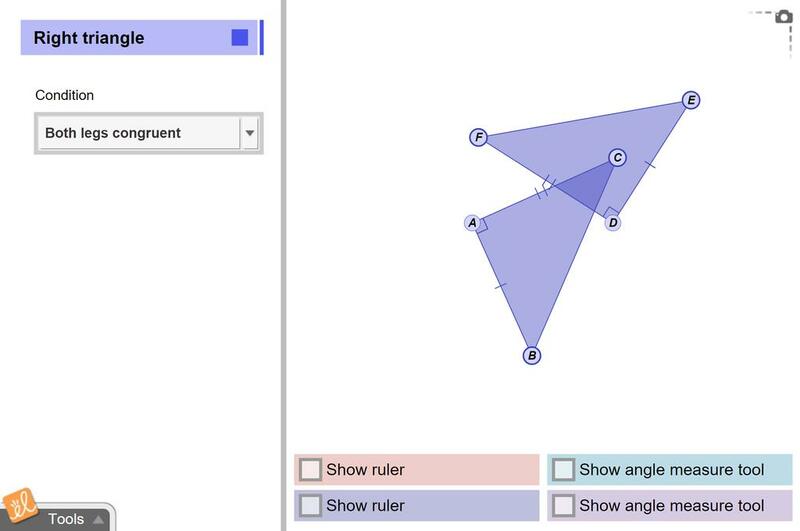 This lesson makes the Exploration Guide of Congruence in right Triangles more student-friendly. It also ... (more)gives an idea for a kinesthetic learner.